We aim to achieve better health for poor and vulnerable communities in Australia and internationally through research, education and public health. 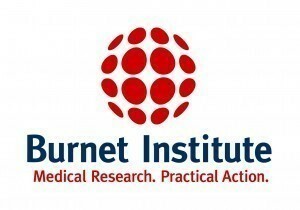 The Burnet Institute is an Australian not-for-profit, unaligned and independent organisation whose purpose is to improve the health of disadvantaged, poor or otherwise vulnerable people throughout the world. We are passionate in our commitment to working and growing together to create a healthier world. We value excellence, innovation and social justice and share a desire to extend the boundaries of knowledge and understanding. If you share our vision of a future freed from the suffering caused by infectious disease, poverty and social inequity, please join with us and support Burnet today. Leaving a gift in your Will to the Burnet Institute is a very special act of generosity and foresight. Bequests and other gifts in Wills allow the Institute to plan forward with confidence, invest in long-term medical research and public health projects, and seek solutions to the critical health issues of vulnerable and disadvantaged communities around the world. If you share our vision of a future freed from the suffering caused by infectious disease, poverty and social inequity, please join with us and include Burnet in your Will. Your very special gift will help transform lives – for the long term.